Ah, another soccer competition. Because we didn’t already have enough of those. 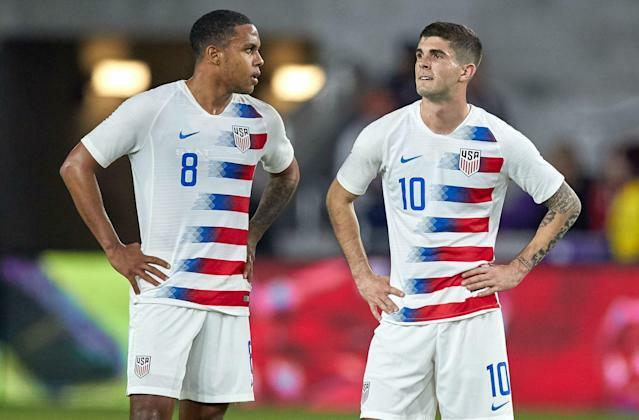 On Wednesday night, the draw for the inaugural CONCACAF Nations League took place, grouping the United States men’s national team with Canada and Cuba. They’ll play two games, home and away, against both teams from September through November, followed by a final-four knockout stage next March against the winners of the three other groups. And the winner will be the champion of, well, something. Because the tournament begins well after June’s CONCACAF Gold Cup, which already crowns a champion of North and Central America and the Caribbean. And that begs the question: What, exactly, is the point of this thing? And how does it benefit the United States men’s national team? Formalizing a loose set of friendlies typically played in those same international windows on the soccer calendar – there will be no extra game dates added to accommodate this tournament – is beneficial to the many small soccer countries in the region. They get more and better competition than they might ordinarily expect in the early rounds of World Cup or Gold Cup qualifying. But for the Americans? Or for Mexico, the other regional juggernaut? Not so much. The U.S. wants to be playing countries outside of CONCACAF. That’s how it improves. That might sound a little silly when the Americans somehow botched their last World Cup qualification (in admittedly flukey circumstances, but they left themselves open to that unlikelihood nonetheless). Yet it was evident just this week how much benefit there is to using these international windows to seek out new challenges. 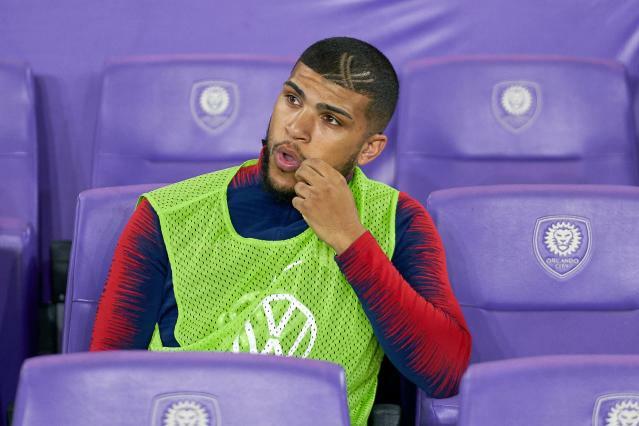 In its first two friendlies of 2019, the U.S. soundly beat Costa Rica and Panama. But those wins over regional regulars weren’t nearly as valuable and educational as last Thursday’s 1-0 win over Ecuador or indeed Tuesday’s struggle to a flattered 1-1 tie with Chile. Just playing the same teams again and again won’t help the U.S. reach its lofty objectives. And there’s no shortage of competitive matchups with your Hondurases, Costa Ricas, Mexicos and Jamaicas. After all, the U.S. already faces them regularly in the Gold Cup and World Cup qualifying. All the CONCACAF Nations League really offers, then, is a dry run of sorts at those tricky away games in Central America where the U.S. has historically struggled in World Cup qualifiers. And yet the structure of the tournament pretty much ensures that such games would be few and far between. Automatically assigned to Pot 1 of Group A – the top group in the highest tier – for the draw, the U.S. couldn’t possibly face Mexico, Costa Rica or Honduras in the group stage. As such, playing games against competitive teams with real stakes won’t even be a possibility until the semifinals or final. And the ultimate incentive is small. There is no automatic berth to the World Cup or any other major tournament available, or even an advantage in qualifying the way there is in Europe’s UEFA Nations League, where a successful run earns you a spot in the playoffs for Euro 2020 qualifying. This is just a tournament that repackages the same old games as something marginally shinier but still substantially the same. All it really achieves is to make it harder for the bigger North American teams to schedule friendlies with European and South American teams. (Not least because Europe now has its own Nations League tying up its own teams.) Yet those are the kinds of games that have challenged and improved the national team, by exposing weaknesses in a way that most regional opponents can’t. What is the U.S. really going to learn from playing teams ranked 79th and 174th by FIFA, as Canada and Cuba are, respectively? Or from playing them twice, for that matter? Truth be told, there was a great deal of skepticism about the UEFA Nations League as well. What was it for, exactly? It just seemed like a money-grab by the European governing body, achieving little more than to duplicate its signature international tournament, the Euro, over a longer space of time. But the group stage of the UEFA Nations League was a rousing success, offering up tense and exciting games on dates that had previously given us a reliable going-through-the-motions torpor. Then again, that’s because major countries began facing each other more often. They weren’t playing qualifiers against the other big nations with any sort of regularity, because qualifying for the big tournaments was broken into so many groups as to keep the top teams apart. The UEFA Nations League ensured more games against teams your own level. The CONCACAF Nations League achieves no such thing. It just means more games that were already happening. And it’s hard to see the upside in that for the U.S. national team.